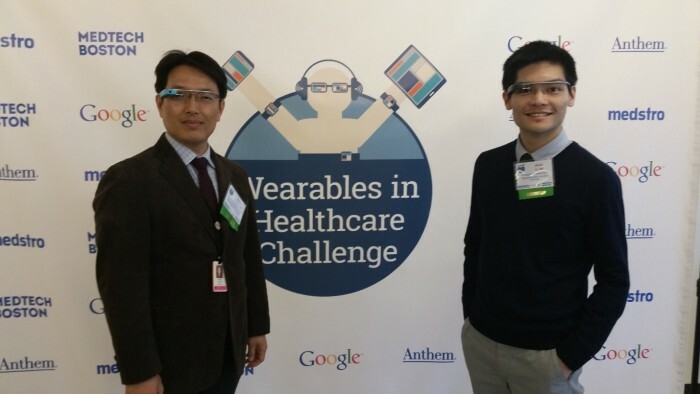 @Boston Google campus (http://www.google.com/about/locations/boston/): Synho and Alvin were proud to represent the Rapid Collaboration Hub at Google Headquarters in Kendall Square for Medstro’s Wearables in Healthcare Challenge. At the event, the RCH exhibited our Google Glass DICOM viewer for bed-side and portable image-guided surgery. The event was tremendously successful and props to organizers from Medstro (Dr. Jennifer Joe @JenniferJoeMD and Jim Ryan) and Google (Irma Rastegayeva)!